This week’s episode explores Afrikaans culture and cuisine, as Hayden learns the secrets of traditional dishes like mosbolletjies and potbrood, and pays a visit to the Taal Monument. 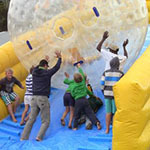 There’s plenty of time for adventure too, with an epic zorbing session through Stellenbosch’s vineyards capping off an action-packed episode. 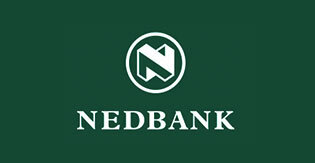 The vineyard-laden town of Stellenbosch is one of the most picturesque and historically rich in the country. 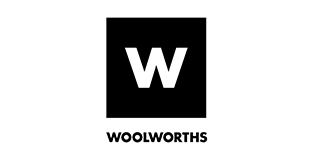 South Africa’s second oldest town is a tranquil warren of oak-lined streets, surrounded by many of the country’s most renowned wine farms. Stellenbosch is, at its heart, an educational centre, and its eponymous university draws learners from across the globe. Home to 3 of South Africa’s Top 10 restaurants, it’s also a bona-fide foodie hotspot and one of the country’s fresh produce capitals. Make your way down slopes, along tracks or across bodies of water – all inside a large inflated ball. Being on a roll has never been quite so invigorating! 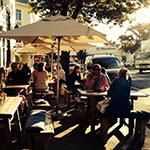 Schoon de Companje is a quirky, aromatic establishment, housing a variety of eclectic and delicious homegrown foods that draw both locals and tourists in their droves. 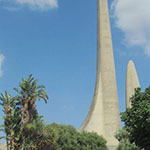 Rising high above Paarl, the Taal Monument is a celebration of the Afrikaans language. Not only is it an iconic feature of the Boland skyline, but it’s also home to a fascinating museum, which documents the origins of the language. Set on a 300 year old working wine estate in the breathtaking Jonkershoek Valley, Lanzerac Hotel and Spa is one of South Africa’s most historic establishments. The hotel’s 48 en-suite rooms are housed in picturesque Cape Dutch-style buildings, all of which boast private patios and awesome views of the nearby mountain peaks and vineyards. 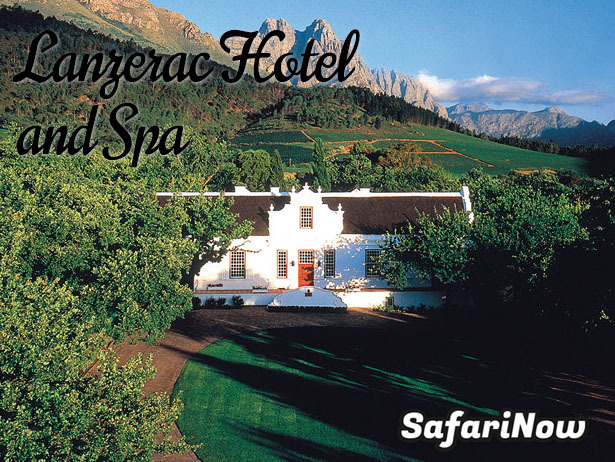 With a fully equipped spa on-site and a wide variety of sumptuous dishes readily available for guests, Lanzerac is the very epitome of authentic luxury travel.